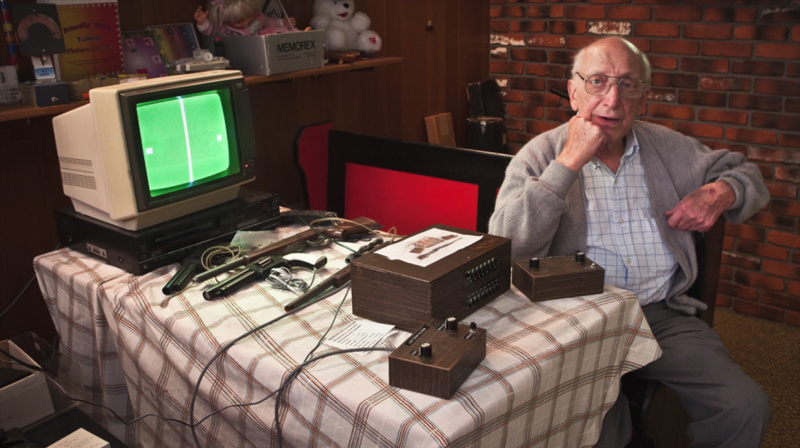 It has been confirmed today that Ralph Baer, often referred to as the father of the video game, has passed away. He was 92. Without Baer's pioneering work in the '60s and '70s, the modern video game industry would be totally different today. He created the Magnavox Odyssey in 1972, which was the first commercially-released home video game console. It hit the market three years before Atari's Pong home console, which was heavily inspired by Baer's creation. As well as creating the first games console, he also created the world's first light gun game — an expansion pack for the Odyssey called Shooting Gallery. Baer was a prolific inventor during his life, holding 150 patents at the time of his passing and creating products outside of the video game industry — Simon is perhaps one of his most famous toys. Despite his pioneering success, Baer's work was overshadowed in the '70s by Nolan Bushnell's Atari, which arguably took Baer's ideas and turned them into a multi-million dollar industry. Debate has raged over the decades over which of the two men should be given the title of "the father of video games", but as Baer himself points out, Bushnell created the first arcade game in 1969's Computer Space while he came up with the concept of the world's first home console in 1966. In 2006, Baer was awarded the National Medal of Technology by President George W. Bush in recognition of his work in the field of video games. Four years later he would be inducted into the National Inventors Hall of Fame. Below you can see Baer showing off the "Brown Box" — a forerunner to the Odyssey — in 1969. For perspective, that's the same year that man landed on the Moon — almost 50 years ago. Our thoughts are with Baer's family at this sad time. May he rest in peace — the entire video game industry and all the people who enjoy it owe him a massive, massive debt. RIP you bought so much joy to this world for hundreds of millions. That is something very few people will ever have the chance to leave behind. Would that video technically be considered the first ever Let's Play? R.I.P. Ralph, and thank you so much for your contribution in creating such a wonderful industry!! Anyway RIP Mr. Ralph H. Baer. If there is a videogame hall of fame, this guy's name should be right in there. RIP Ralph Baer. Yes, this is the man who is the father of video games. Not a marketing mogul, like Nolan Bushnell or Steve Jobs. If we're going to talk about the grandfather of video games, though, we must speak of Willy Higinbotham, of Brookhaven National Laboratories in New York, who was the inventor of Pong (he called it Tennis for Two). He first developed the game on US Military Lab oscilloscope scanners, meaning the first computer/video game was technically a mod/hack! (Hackers aren't so bad after all, eh?) He later would further develop it on an analog computer. Ralph Baer continued upon Willy Higinbotham's work about ten years later, patenting his own work, and Magnavox licensed Baer's work from him to sell it. The result being the Oddysey. Baer also went on to invent the first light gun game, or in other words, the predecessor to Duck Hunt. If there is only one good thing that has ever come from War in all of human history, it is computer/video games. Hopefully in the future, we will take a page from Ralph Baer's book, and repurpose ever newer technologies originally intended for destructive purposes into more creative endeavors. Nolan Bushnell basically ripped off (or in friendlier terms, "borrowed") Steve Russell's game idea after seeing it in action, and made his own slightly different commercial arcade version of the game. Then, he sold it to Nutting Associates in 1971. That game was actually a flop commercially... Bushnell would later found Atari with his partner Ted Dabney. The true credit for the first commercial arcade games goes to the American and Japanese partnership of SEGA, which Marty Bromley founded in 1951, while managing electromechanical machine game rooms in US Military bases in Hawaii. In 1956, David Rosen brought SEGA's machines over to Japan. In 1964, Rosen's company merged with SEGA to form SEGA Enterprises, and the first Japanese arcade export, Periscope, was brought to America. Thus, the first Japanese commercial arcade game in the USA (and one of the first commercial arcade games worldwide) was Periscope, which predates Computer Space by several years. SEGA was later purchased by Gulf & Western in 1969... and bought back by David Rosen and Isao Okawa in 1984 for $38 million! So yeah, the credit for the first video games and arcade games were more or less stolen by popularly known market moguls like Nolan Bushnell. Bushnell is not the father of video games, he is the father of the industry stalwart tactic of ripping off someone else's work, then selling it for their own benefit. That's very sad news, I saw him on TV about 2 years ago, I can't think for the life of me what it was, maybe it was that best ever toys programme Johnathan Ross presented. At least he made it into his 90's, it's always nice to know a great person has lived a full life and he will be remembered forever. Thank you Ralph Baer! Rest in peace. At least he lived a long life. That's a shame, I appreciate the contribution he has given to the gaming industry. May he rest peacefully now. I will always honor this man as my hero. I salute you sir. The gaming world salutes you. I bet half the people who play videogames,won't even know who this man is or what he has done for the industry.But either way thank you Ralph. Thank you so much Ralph. RIP in Peace. Thanks for all of your contributions. Without you, my life would be nothing. Seriously, I could not even imagine a day in my life without the existence of video games. If I hadn't read this hours ago on another site I'd be bursting into tears. I have shown my appreciation for Ralph Baer and his contributions to my favorite hobby already but theres not enough love I can throw at him from my spectrum. So as a fat man who made clerks likes to say, "Big Bucket of Win." Rest in peace Mr. Baer, I will play a marathon session of Simon to commemorate you tonight. @retro_player_22 There is except that they never bothered to honor him at all! Its sad to see great people die every year. First it was Hiroshi Yamauchi and not its Bear.......We'll all miss you great people. Words really can't describe the legacy he created. Rest in piece. 92 years? !, oh, well, he created the first videogame console and started this industry that many companies, consoles and videogames owe their respect, and why not, their existence. Thanks Ralph H. Baer. I never heard of Mr. Baer until 3 or 4 years ago, when my friend Robert showed me a DVD of the "Video Games Live" concert. Ralph came on stage at one point, to play his original "Black Box" machine against a ten-year-old. Interesting how Baer was already 47 in that video. Already a senior engineer, but with a passion for utilizing technology in fun ways. RIP and a massive thank you. I always expected him to live up to 100 years. Our Genesis has left this world, but we will remember him fondly forever. "The industry owes him a massive debt"
I am in legitimate shock right now. RIP Ralph Baer - a true legend. Without him, this industry wouldn't be what it is today. @WingedSnagret Except for my friends that don't appreciate retro games like I do but their precious Xbox. Thanks for being one of the pioneers, Ralph. I had no idea he made Simon too. I actually did a research paper on the history of video games earlier this year and included Baer in my research. Just,,, wow. This is going to date me.. but when I was 3 or 4 we got the Magnavox Odyssey. All we had for it as the pack in game Haunted House. It had this plastic overlay for the TV screen, and was extremely basic, but started me on a great life playing video games. My parents must have been unimpressed as we never got any other games for the system, and our next player was Pong. Pretty amazing how far things have come. I'm glad he got to see what his experiments and inventions led to. Thanks Mr. Baer! I remember watching a documentary about him a few years back and learned to appreciate what he has done for the gaming industry. R.I.P. Ralph! Thanks for getting it started Ralph!! It has come to my attention that you have, as of now and from now on, passed away and the entire video game community is mourning your terrible death. I assume you have finally found the secret vine and are now happily jumping along clouds and flying turtles, and I do hope that you have finally found your castle and are at constant ease. So if I may, I would like to happily and proudly announce to you, to Sleep in Solitude. With grand gratefulness and love, yours truly, Anonymous Source. RIP. So sad. Without him and the Odyssey, Nintendo would most likely not be in the gaming industry. My favorite hobby would not exist, at least in the form it is today. Really sad to hear. Thank you Mr. Baer. @Kirk If it was not for Mr Ralph H Baer I most likely wouldn`t have my games to play which is one of three of my biggest hobbies in my life. I wish I could have thanked him in person and told him how truly special he was. I wish he could at least read my message. I wish I knew about the pong story before 2008. Now I will go to sleep feeling sad, Thank you Mr. Ralph H Baer for creating one of my three biggest hobbies, farewell and rest in piece. I wish your family as much happiness as possible you are with your family in heaven, farewell and rest in piece sir. Grant Kirkhope let me just say a big thank you to you to for all of your work with Rare Ware incorporated. Such classics such as Killer Instinct hold a special place in my heart. You worked with David Wise, Eveline Fischer, and Robin Beanland also I believe. Thank you sir it`s a nice surprise to see you on Nintendo life. My name is James by the way. Wow, that's unfortunate. Perhaps I'm too young, as I was not aware of his contributions to the gaming industry, but hearing about him now and what he did gives me some appreciation for him. Please do rest in piece. I didn't know of your contributions until today, but they will be remembered.